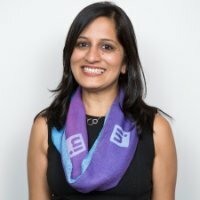 For the past five years, LinkedIn has participated in TechWomen, a mentorship and exchange program that brings emerging female leaders in Science, Technology, Engineering, and Mathematics (STEM) from Africa, Central and South Asia, and the Middle East together with their professional counterparts in the United States. TechWomen is an initiative from the U.S. Department of State’s Bureau of Educational and Cultural Affairs designed to empower, connect, and support the next generation of women leaders by providing them access to the brightest minds in Silicon Valley. During the five-week program, participants engage in project-based mentorships at leading companies in the San Francisco Bay Area and Silicon Valley, participate in professional development workshops and networking events, and travel to Washington, D.C., for targeted meetings and special events to conclude the program. TechWomen 2017 featured 100 Emerging Leaders (ELs) from 20 countries. Thirty-two companies in Silicon Valley hosted ELs this year, and there were a total of 284 mentors across these companies, with 179 Professional Mentors, 62 Impact Coaches, and 43 Cultural Mentors. 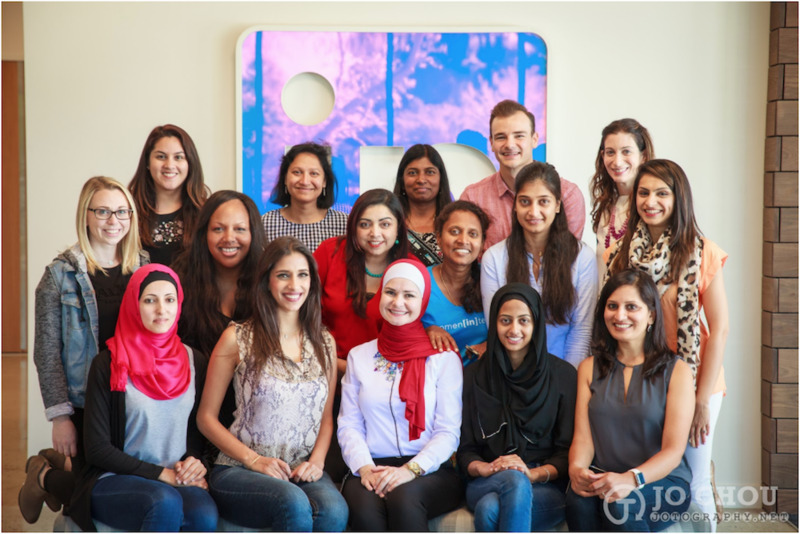 With each year that LinkedIn has partnered with TechWomen, we have looked to grow our engagement with the group. Out of the 20 total countries that Techwomen 2017 featured, LinkedIn directly influenced 10 countries through the different roles of mentorship that TechWomen provides: Professional Mentors, Cultural Mentors, and Impact Coaches. We had Professional Mentors matched with ELs from four different countries and Impact Coaches matched with ELs from six additional countries. This year, we had the strongest distribution of mentors, with 26 mentors total participating: 15 Professional Mentors, 8 Impact Coaches, and 3 Cultural Mentors, coming from different domains and functions across the company such as engineering, data, product, design, site reliability, and HR. Professional mentors worked directly with five ELs we hosted from Jordan, South Africa, Kyrgyzstan, and Palestinian Territories—all of whom chose LinkedIn as their preferred company. These ELs were based at the Sunnyvale campus for three weeks this fall. The Professional Mentors worked with the ELs directly on a day-to-day basis through project-based mentorships. Our Impact Coaches were matched with EL cohorts from Pakistan, Zimbabwe, Uzbekistan, Kyrgyzstan, Rwanda, and Tajikistan. Impact Coaches supported ELs in developing action plans to address a socioeconomic challenge in their local communities. Lastly, we had three Cultural Mentors assist many ELs in discovering and understanding the rich traditions, values, and diversity of the United States. At the end of the program, TechWomen selected the top five country action plans to award with a grant. We’re excited to share that ELs from three countries out of the five winners had worked with Professional Mentors and Impact Coaches from LinkedIn! LinkedIn matched mentors with ELs based on similarities in the areas of focus. This year, our ELs wanted to focus on learning how to work with big data and perform analysis and data integration, drive user design and experience, and manage products and projects in bigger IT companies. A highlight of the program occurred on September 29 when, in partnership with TechWomen, LinkedIn proudly hosted an all-day leadership workshop and networking reception for all 100 ELs and mentors participating from the 32 companies hosting ELs in the Bay Area. The workshop was targeted for ELs with a focus on “leveraging your strengths for leadership.” Attendees got to listen to a leadership panel that featured Erica Lockheimer, Head of Growth Engineering and Women in Tech at LinkedIn, and Beth Steinberg, Founder of Mensch Ventures, talking about balancing strengths. Additionally, we held a fireside chat featuring Shannon Stubo, LinkedIn’s Chief Marketing Officer, and Julie Norvaisas, Director of User Experience Research at LinkedIn, discussing how to leverage your strengths for personal branding. LinkedIn also arranged profile headshots for all 100 ELs. The day ended with a networking reception for all the ELs and TechWomen mentors across Silicon Valley. It’s LinkedIn’s mission to connect our members to opportunities that help them advance in their careers. LinkedIn's Women in Tech initiative and the internal team takes this mission to the next level for our technical talent, and TechWomen’s objective fits very well with this goal. The program provides a unique opportunity for LinkedIn’s employees to build on their learnings and give back at the same time. We will look to grow our contributions in future years. Thank you to the amazing organizations and people who made this possible, including the Institute of International Education (IIE), the U.S. Department of State, TechWomen Emerging Leaders and Mentors, LinkedIn Women in Tech, and LinkedIn as a whole.